The effect of reduced graphene oxide coating on the electrochemical performance of monodispersed core–shell MoS2 spheres has been presented. 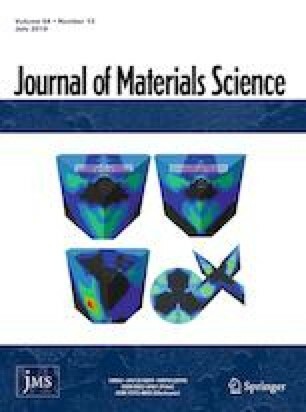 The 3D nanoarchitectures constructed with 2D MoS2 and RGO nanosheets can be applied to assemble anodes with highly enhanced capacity in storing lithium. The amount of reduced graphene oxide nanosheets can dramatically affect the electrochemical properties of as-prepared 3D nanoarchitectures. Specifically, the MoS2 anode materials with ~ 7 wt% of reduced graphene oxide exhibit the highest average specific capacity of ~ 1134 mAh g−1 at 100 mA g−1, and it recovers up to 89.2% after performing discharge–charge at 2000 mA g−1. The discharge capacity of the electrode can retain ~ 88.9% of its second discharge capacity after cycling for 100 times at 200 mA g−1 and keep ~ 98.3% of its average Coulombic efficiency after the first cycle. The cells also possess high rate with specific capacity of ~ 739 mAh g−1 even at 1000 mA g−1. The online version of this article ( https://doi.org/10.1007/s10853-019-03587-5) contains supplementary material, which is available to authorized users. Contribution of Feilong Gong and Lifang Peng is identical to this work. This work was financially supported by Doctoral Foundation of Zhengzhou University of Light Industry (No. 13501050084) and National Natural Science Foundation of China (Grant Number 21371157). All authors listed have declared that they have no conflict of interest.